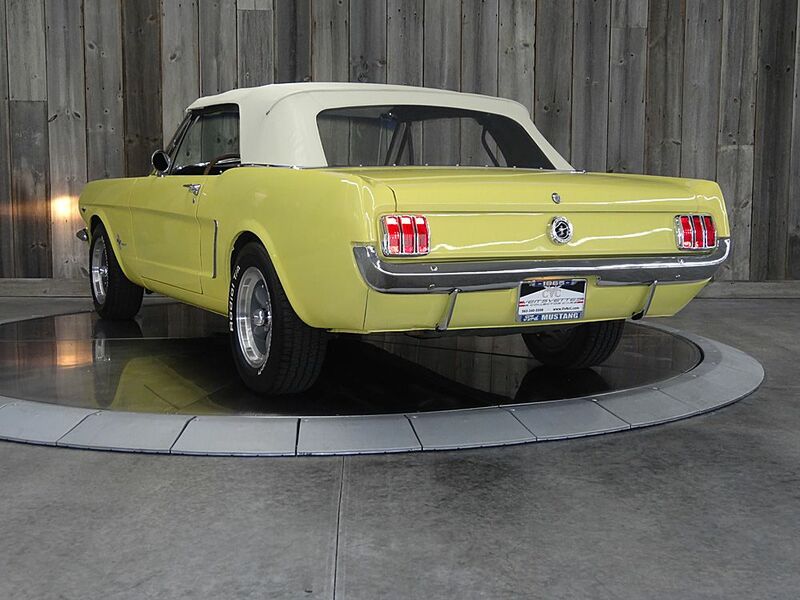 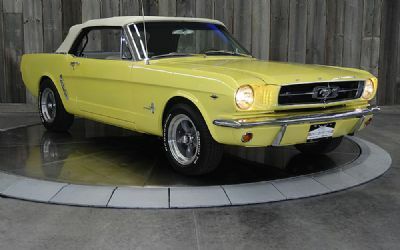 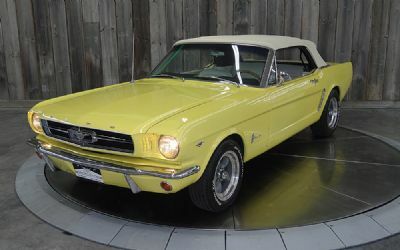 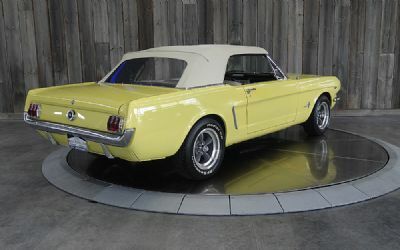 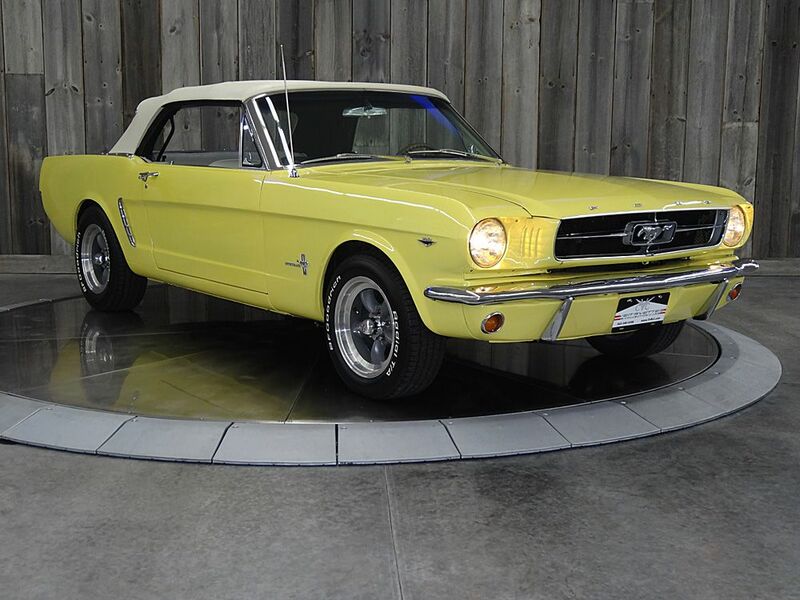 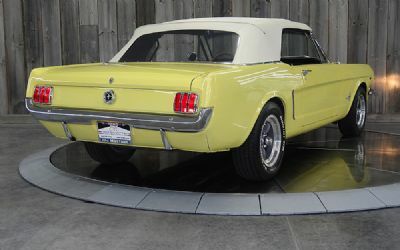 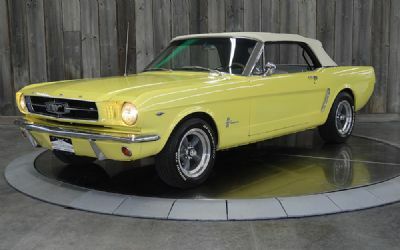 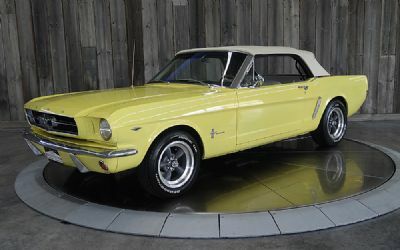 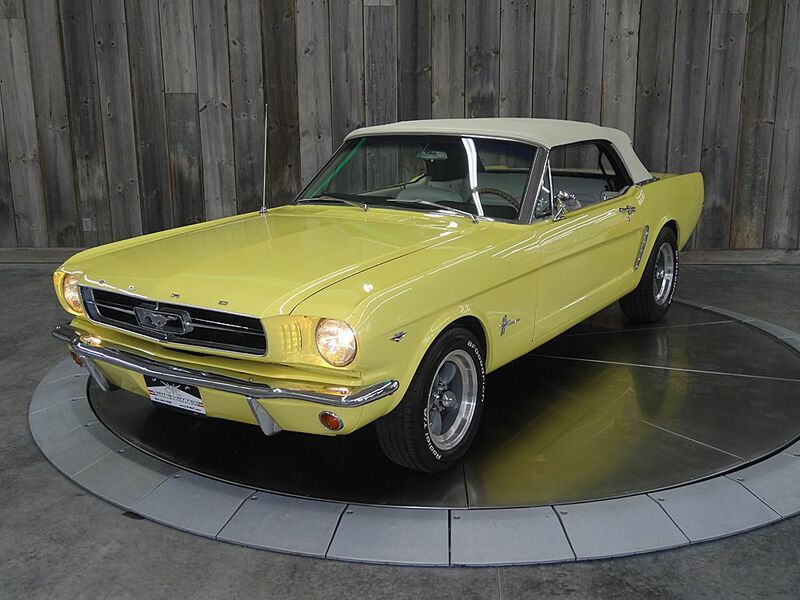 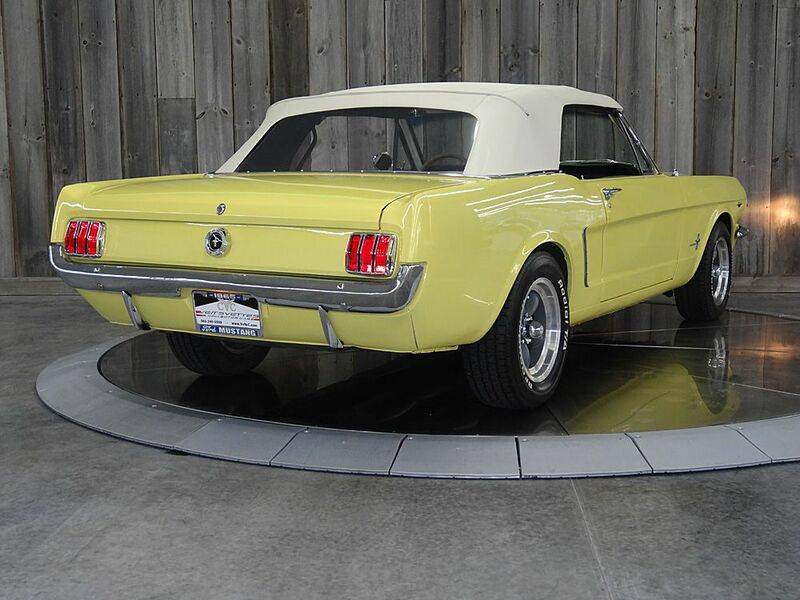 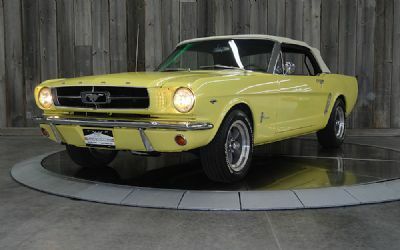 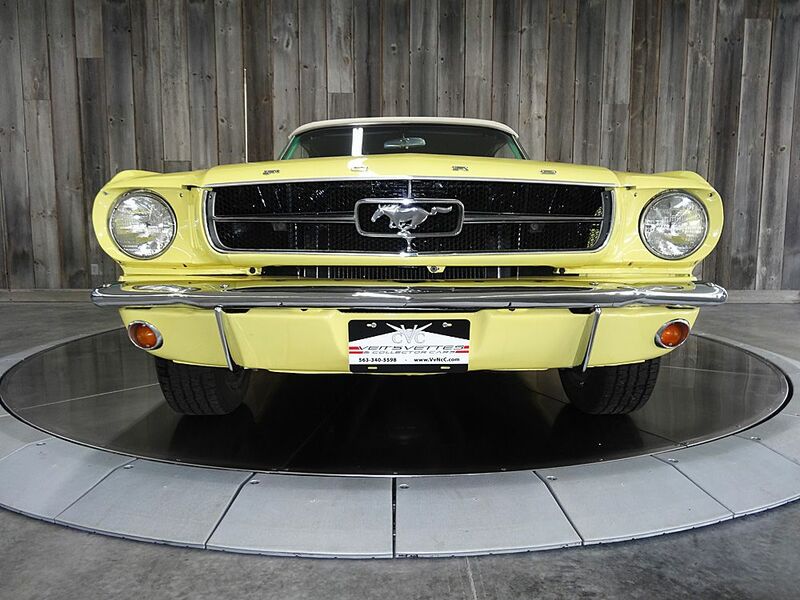 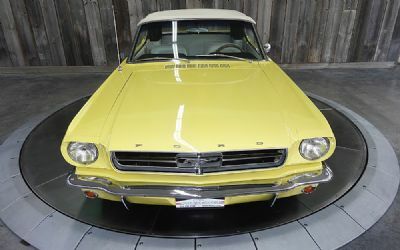 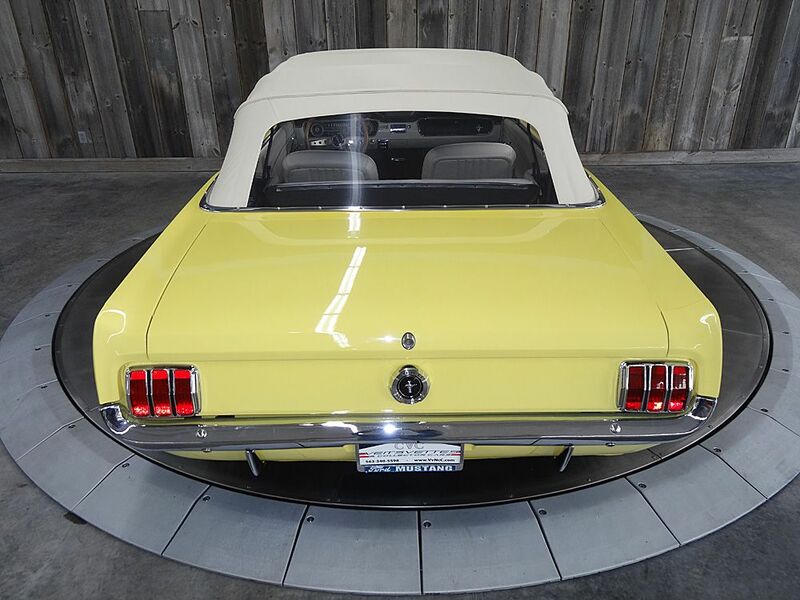 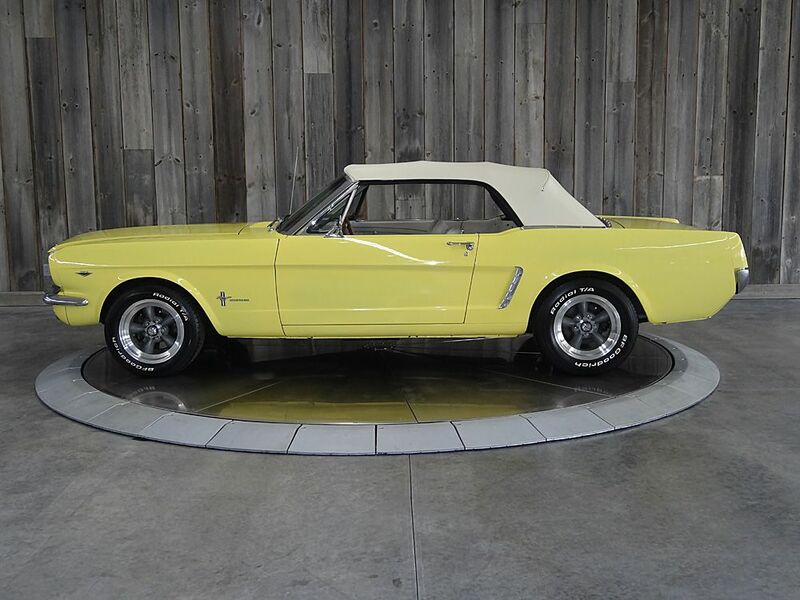 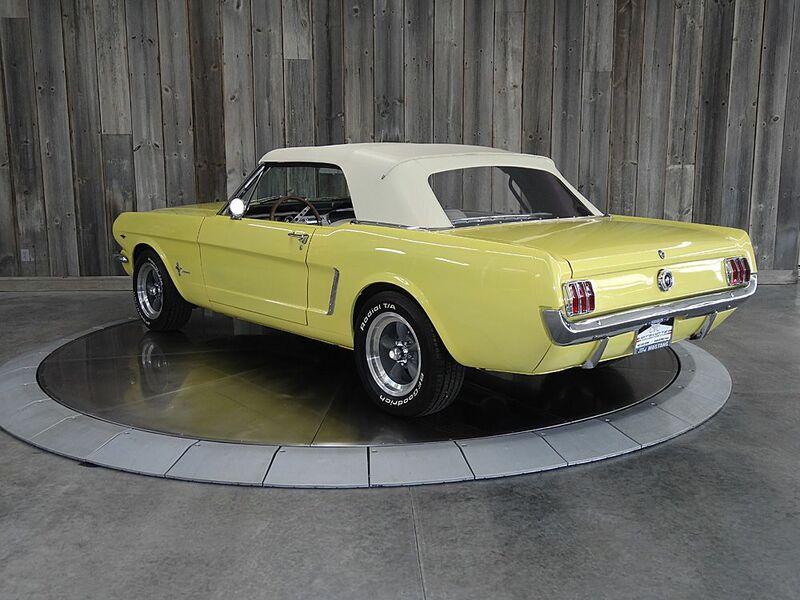 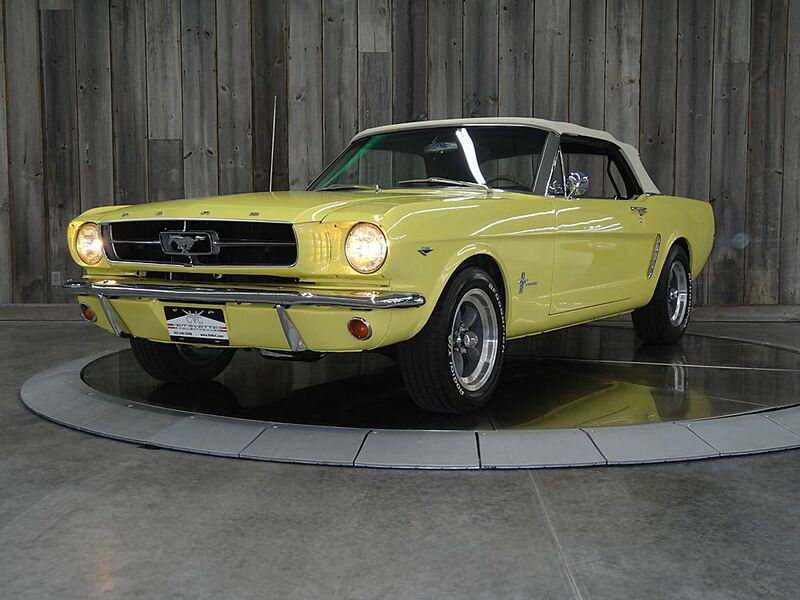 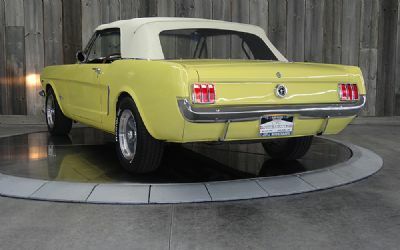 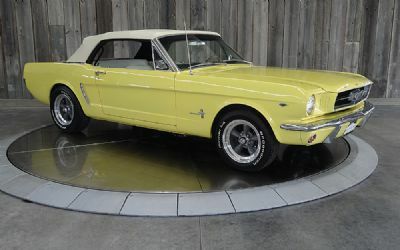 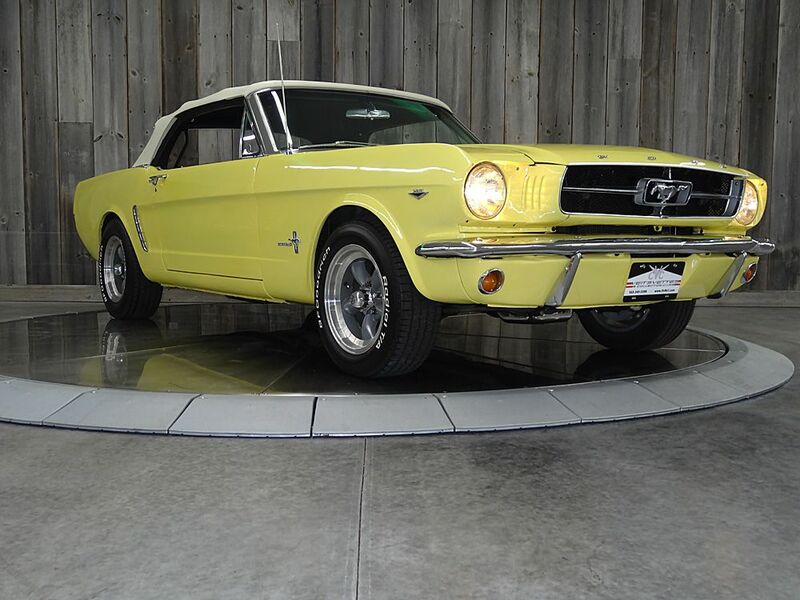 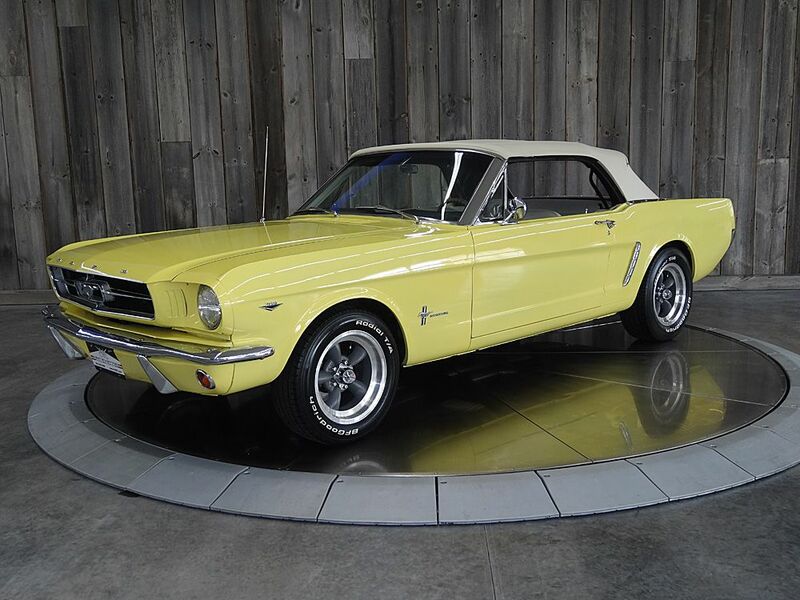 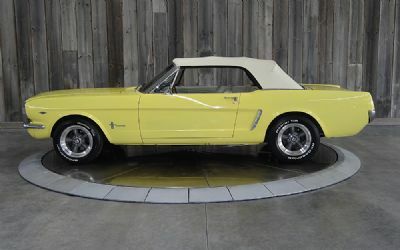 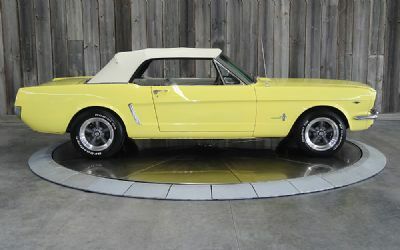 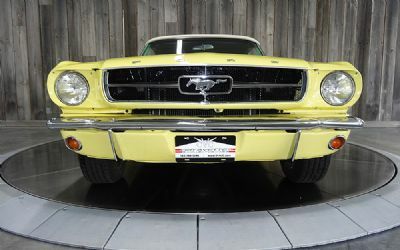 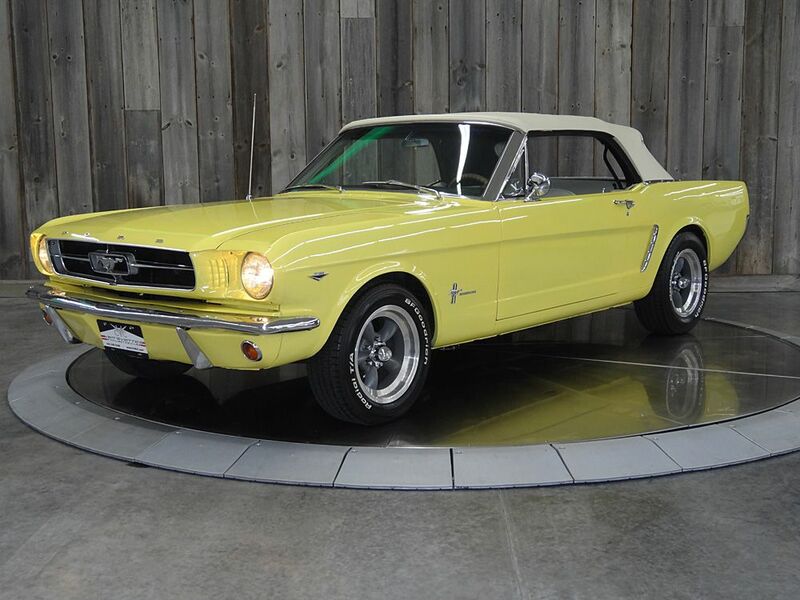 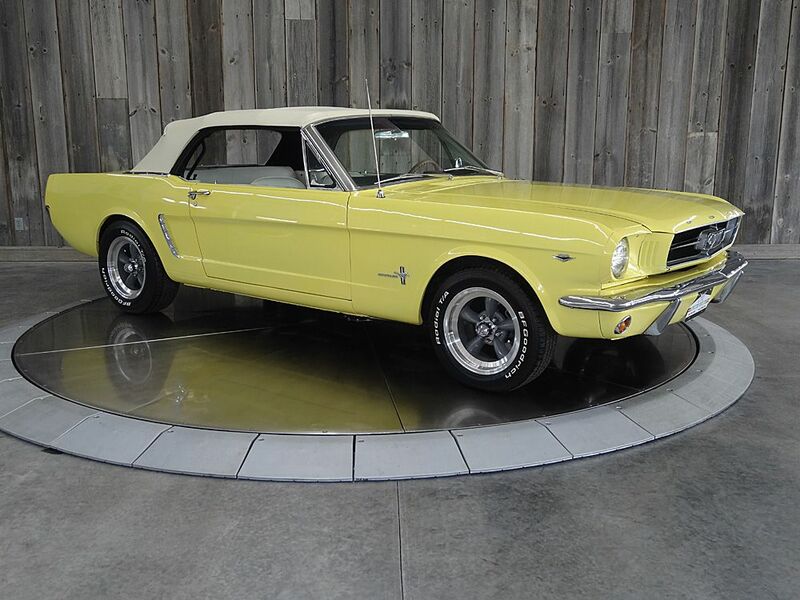 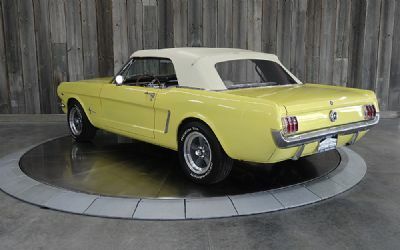 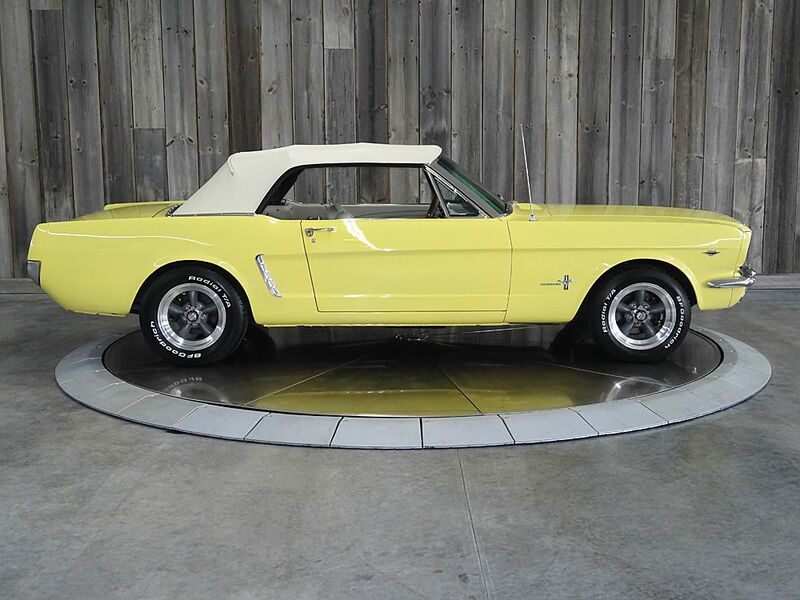 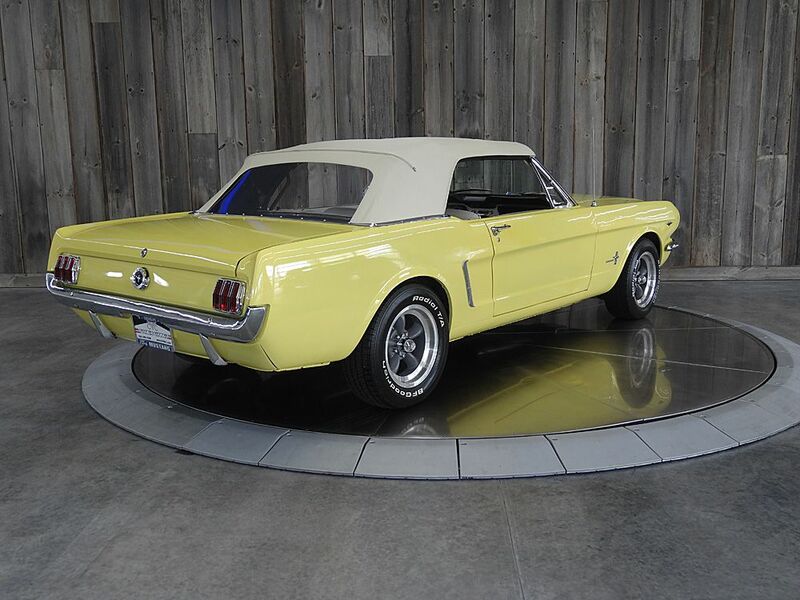 1965 Mustang Convertible 289 V8 / 3-speed Cruise-O-Matic auto trans. 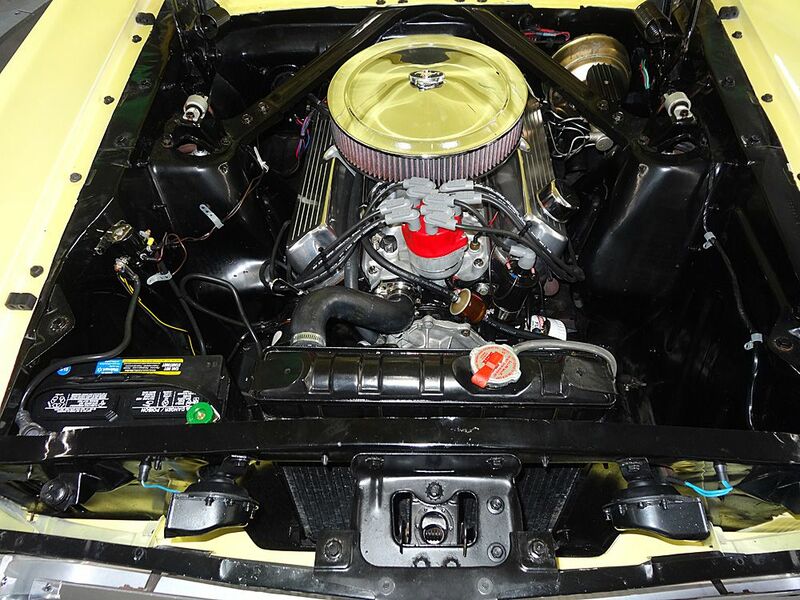 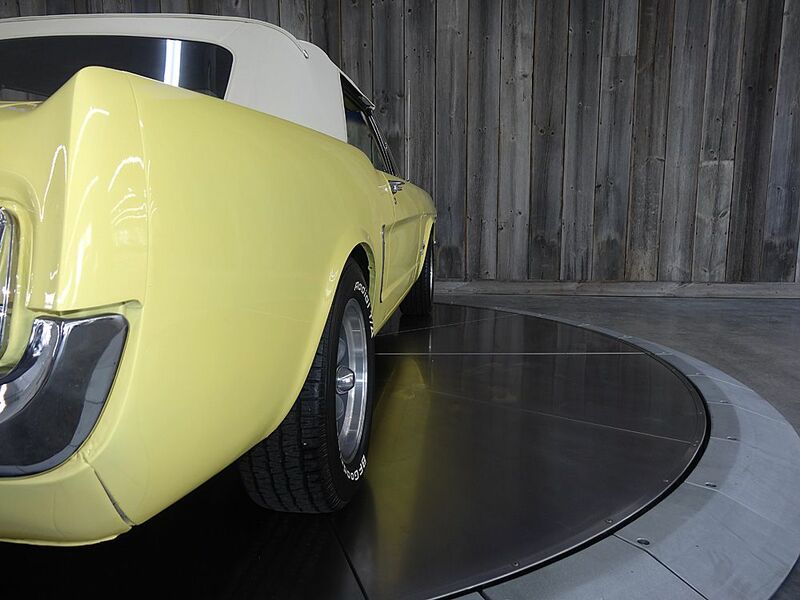 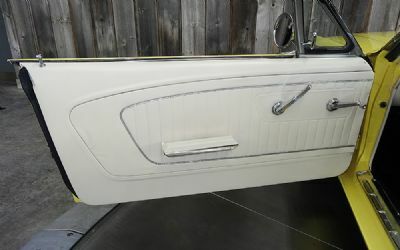 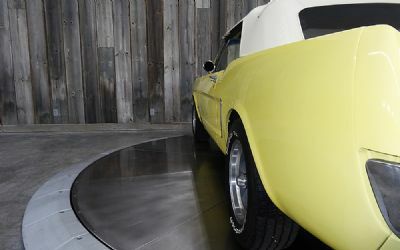 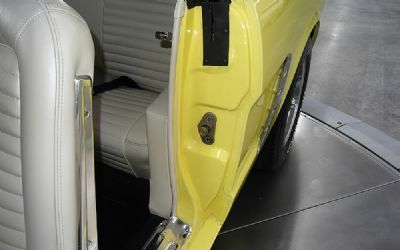 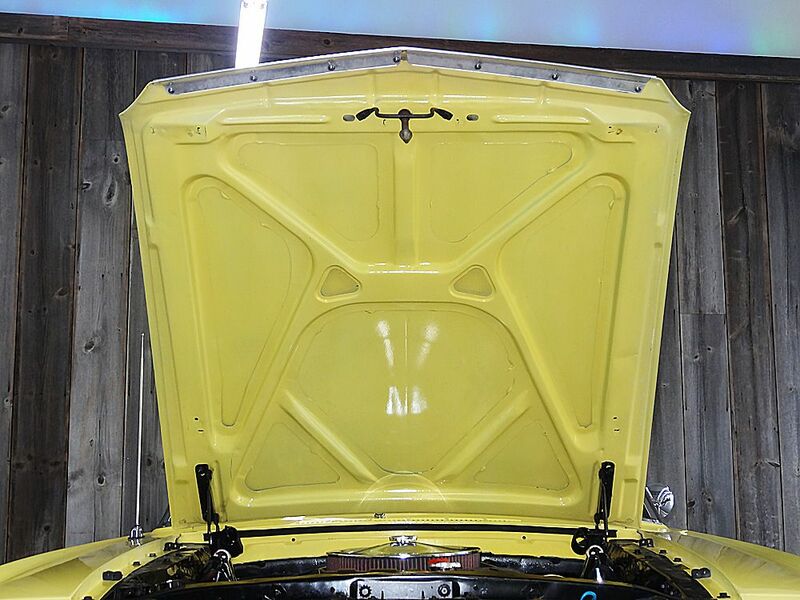 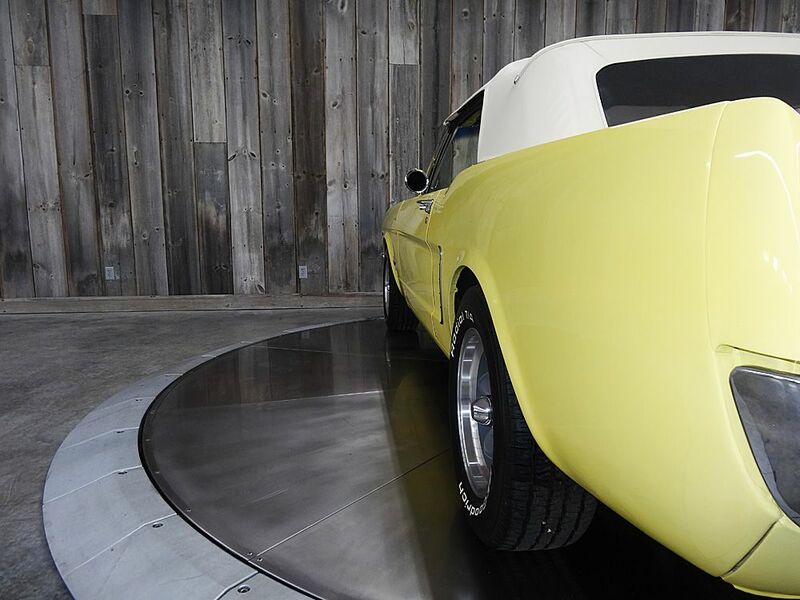 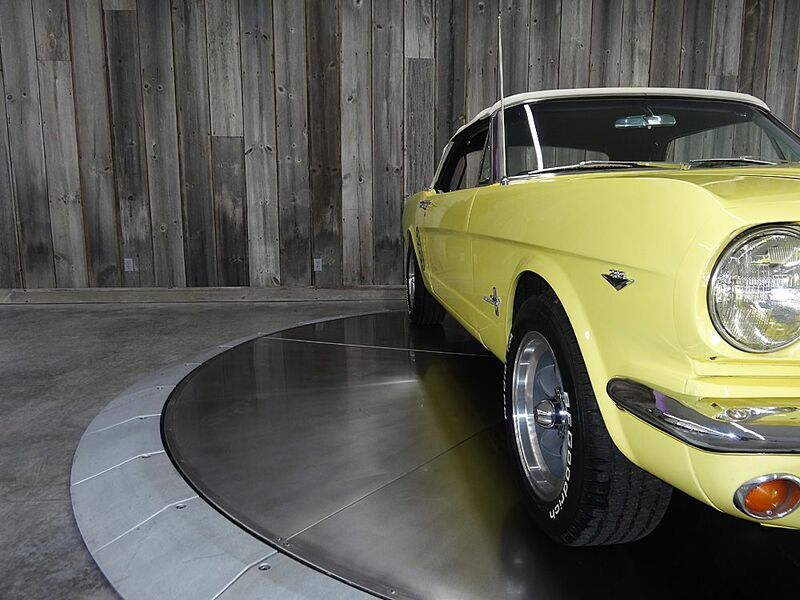 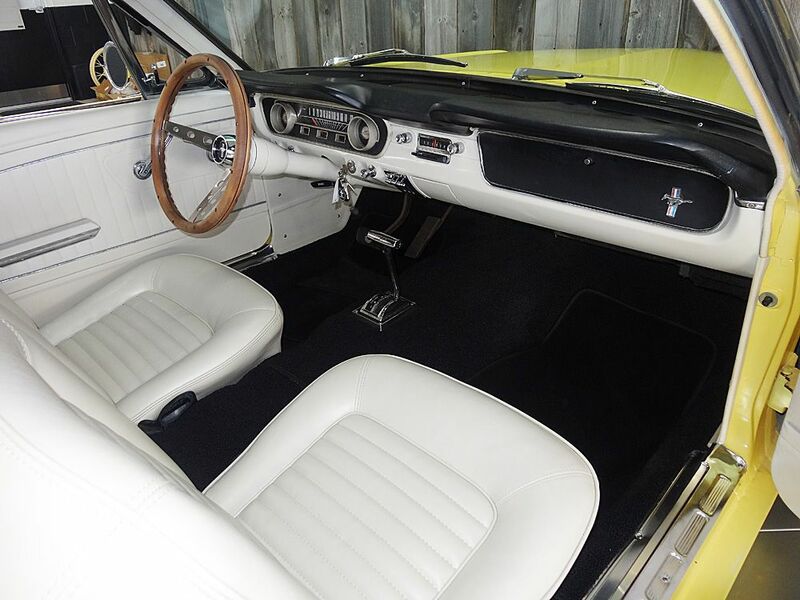 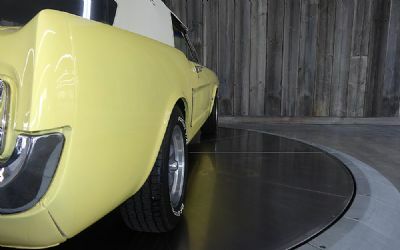 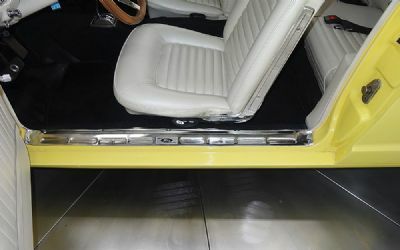 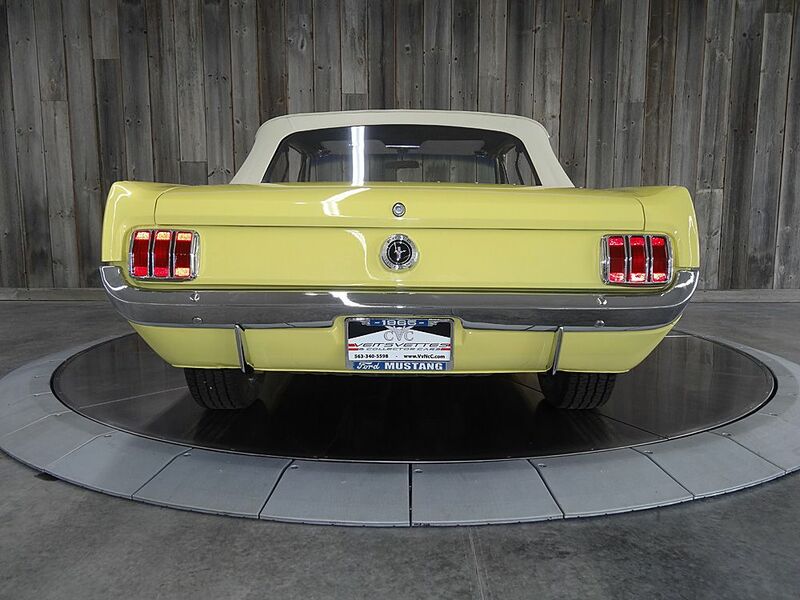 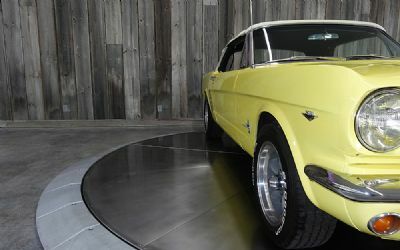 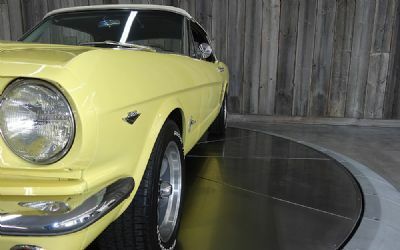 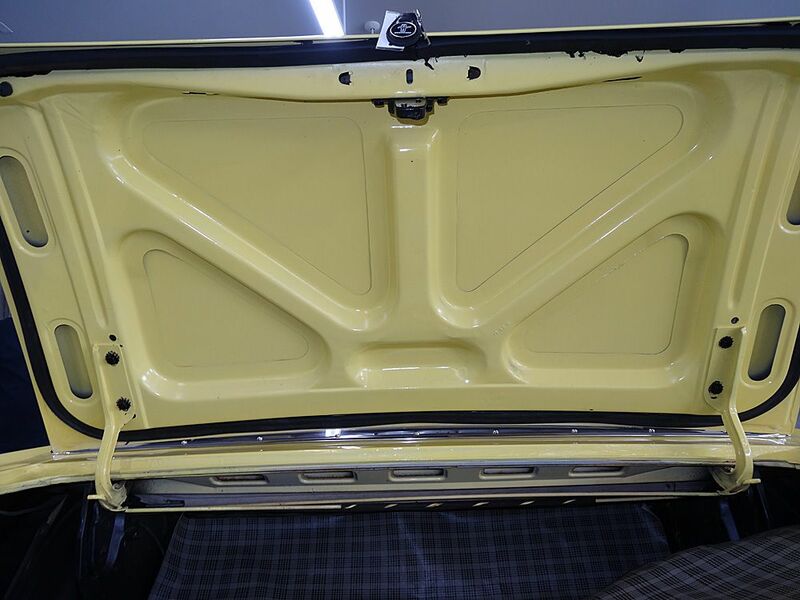 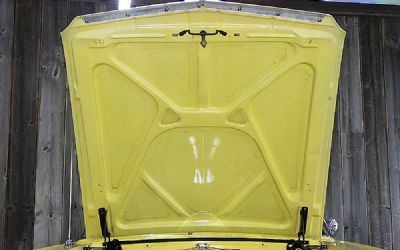 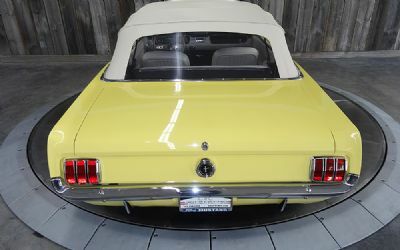 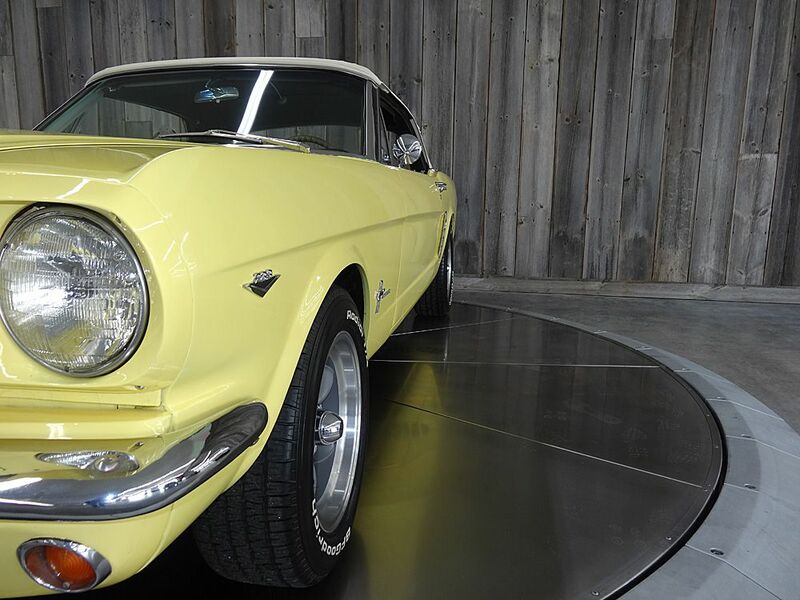 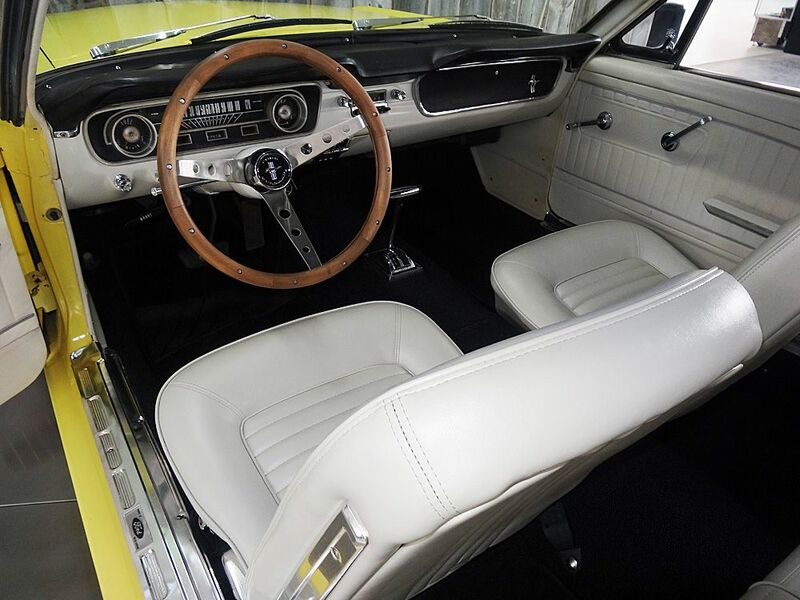 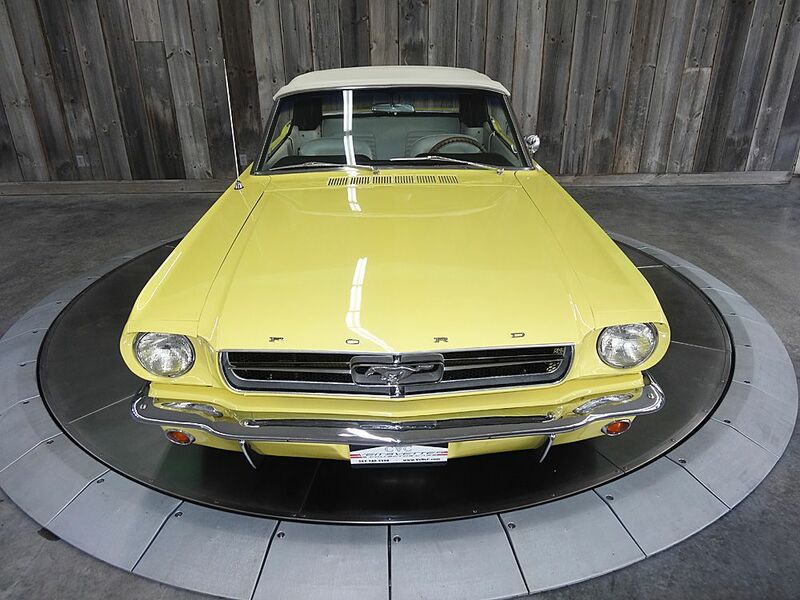 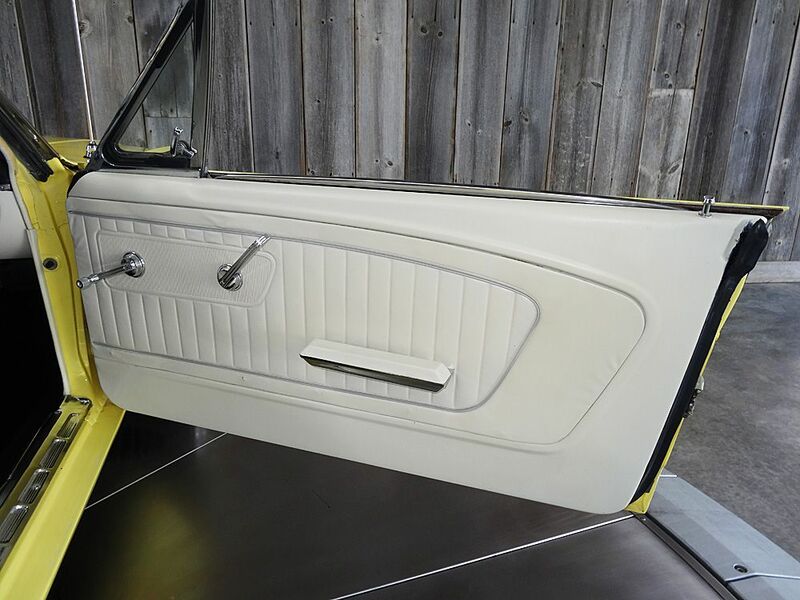 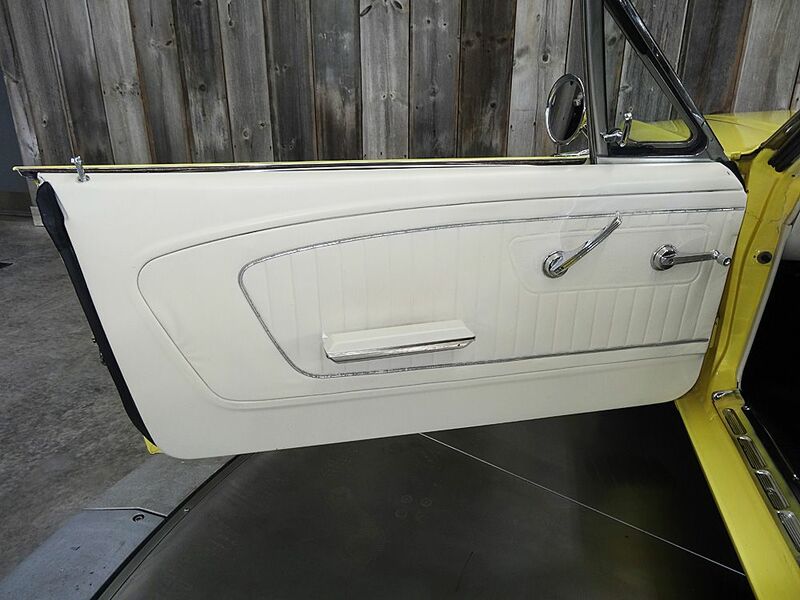 A Frame-on restoration, the body was prepped and painted with a 2-stage base/clear coat in Yellow paint and a new white vinyl top was fitted. 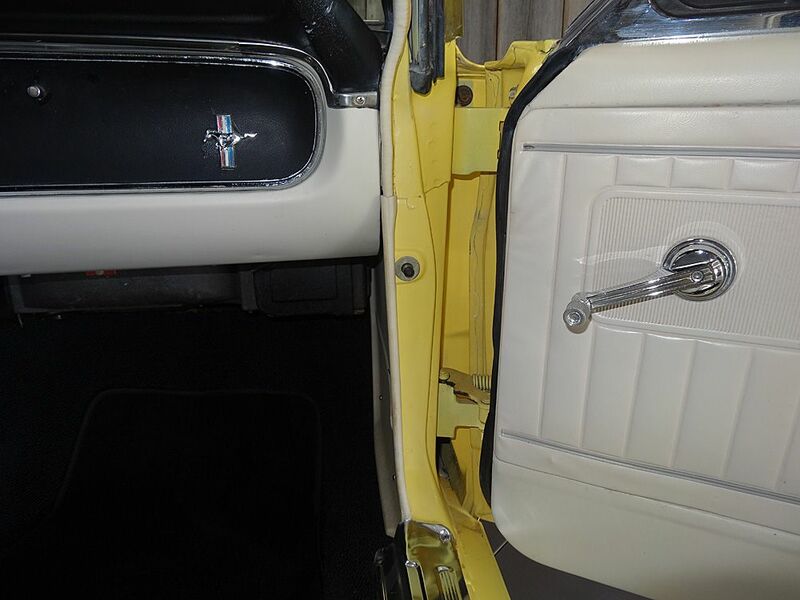 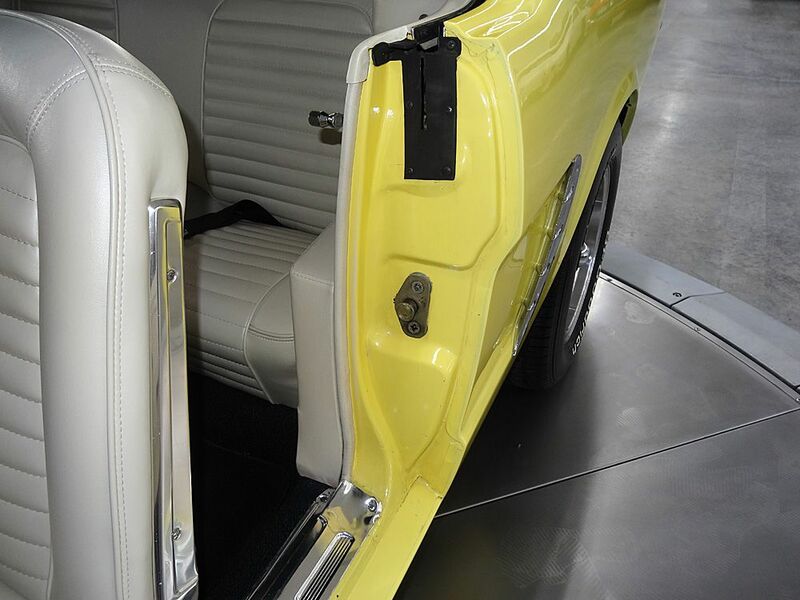 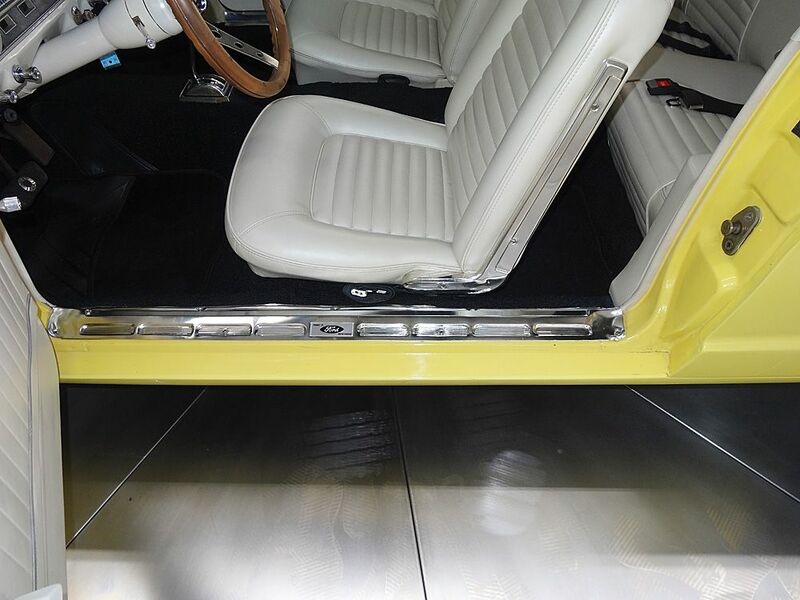 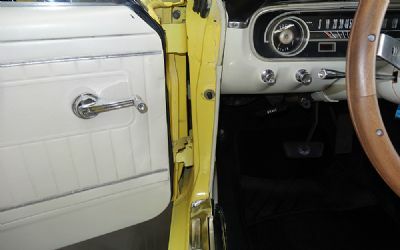 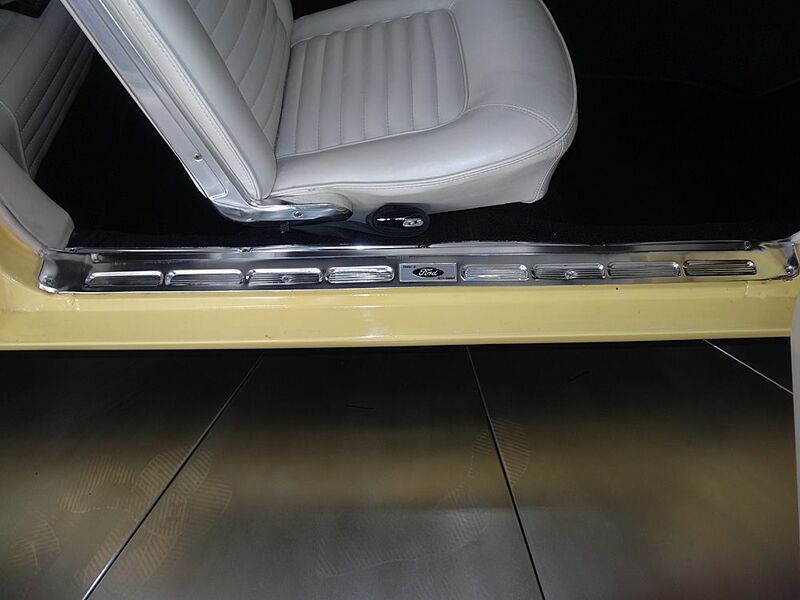 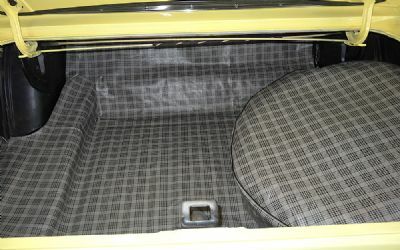 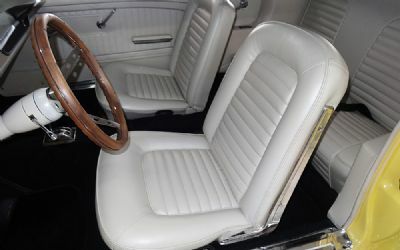 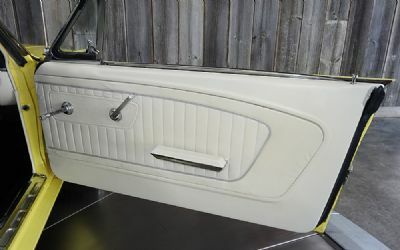 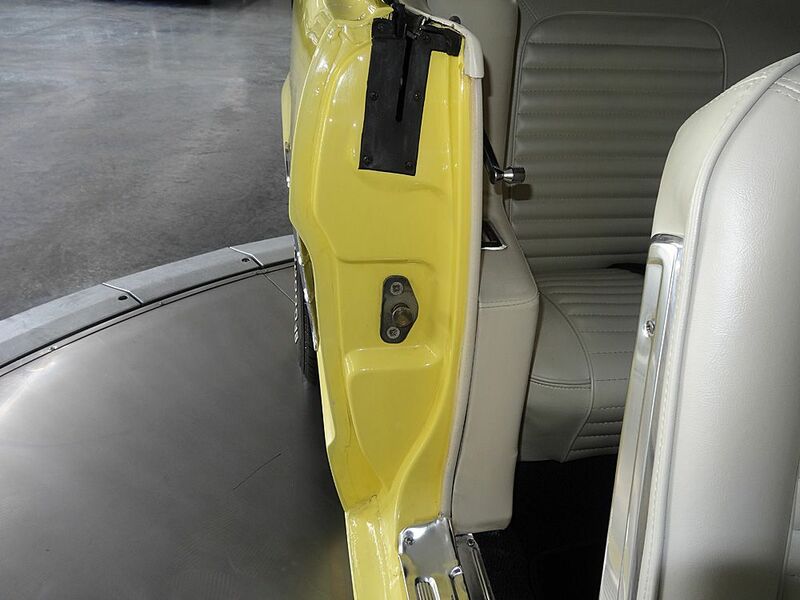 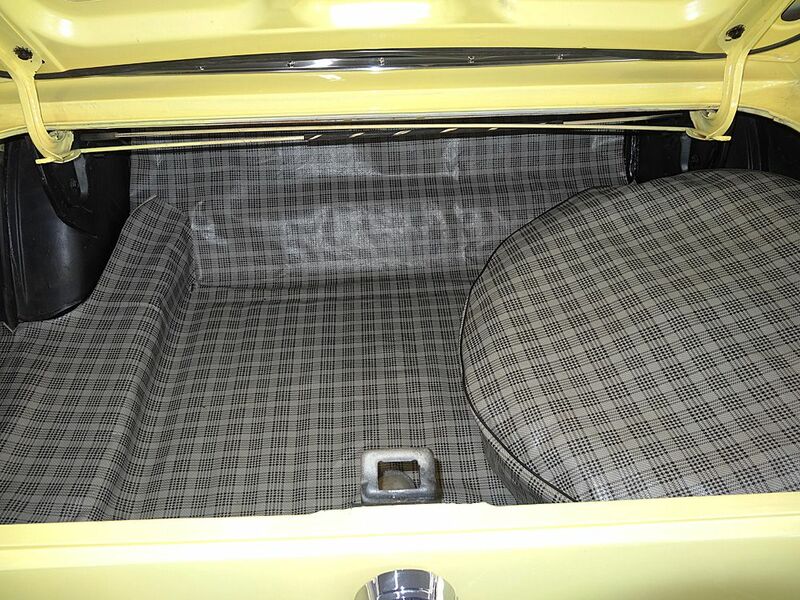 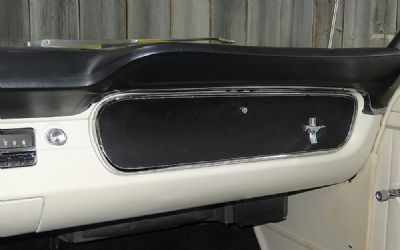 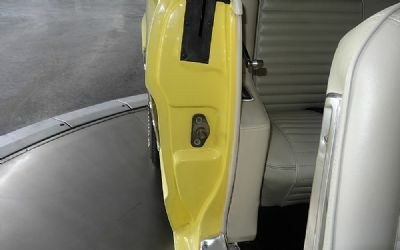 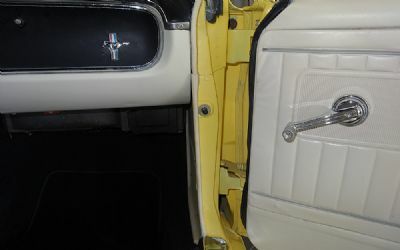 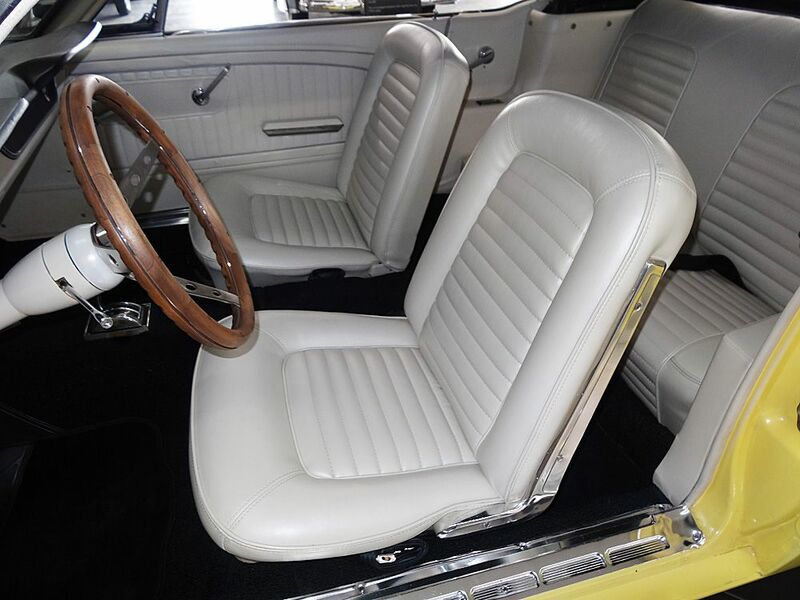 New or restored chrome and stainless steel trim, door handles, bumpers and emblems were used throughout. 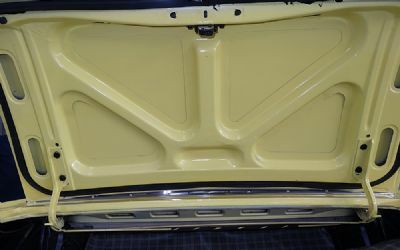 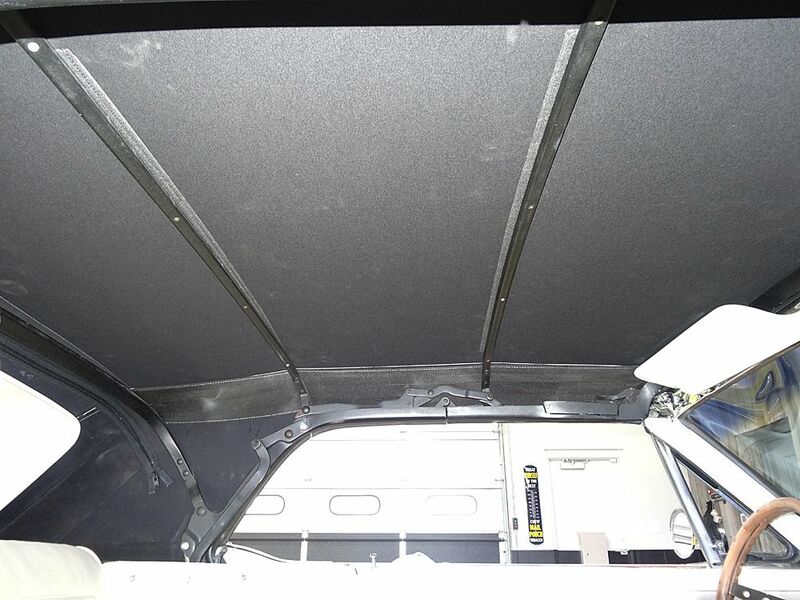 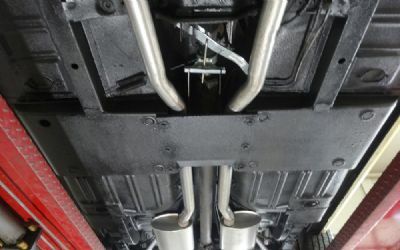 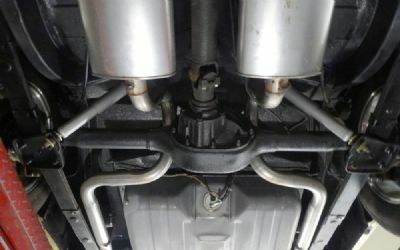 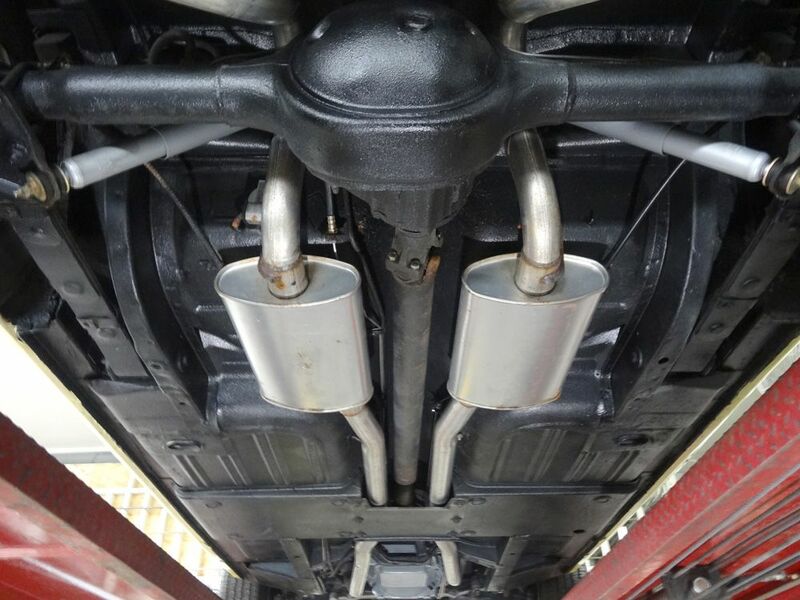 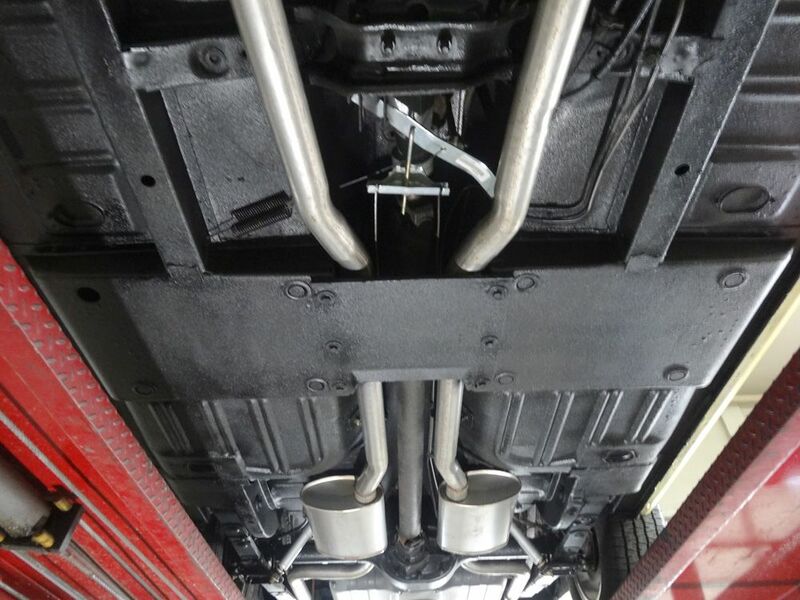 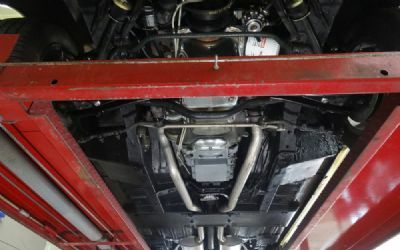 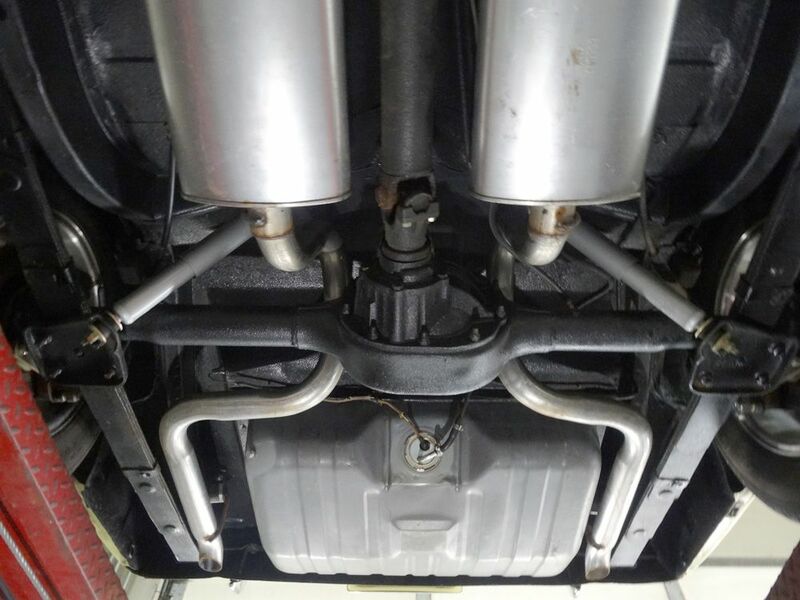 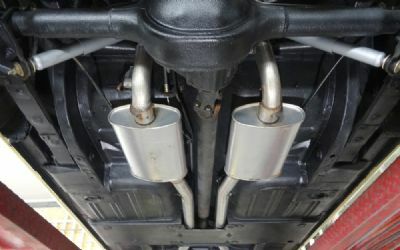 The undercarriage and engine bay was fully undercoated and detailed. 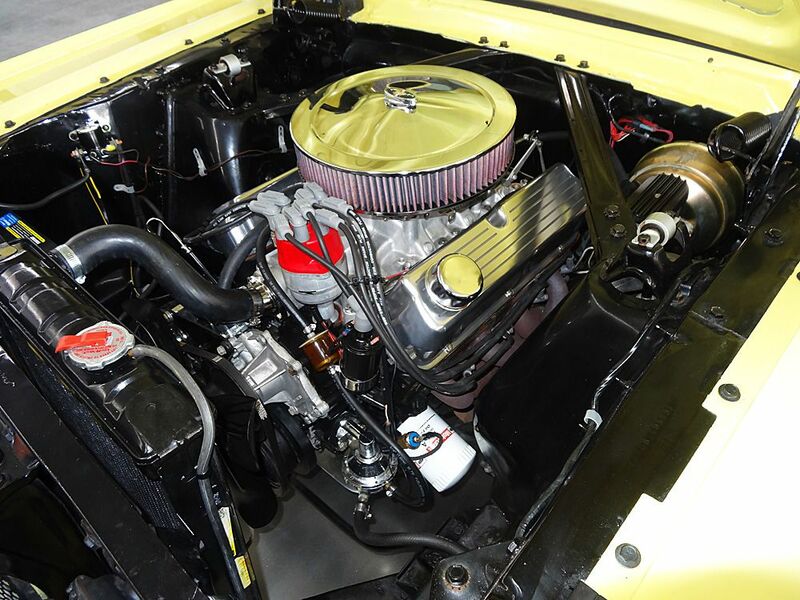 The 289ci power plant was completely rebuilt by Hesco Parts Corporation in Louisville, KY. 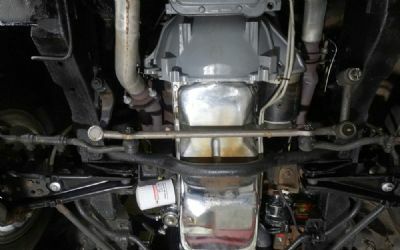 The original transmission was also rebuilt and shifts smoothly. 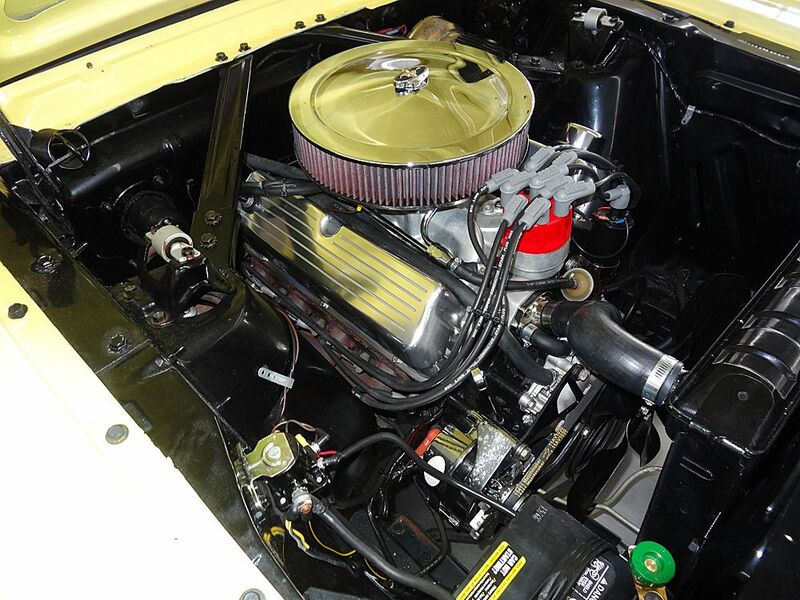 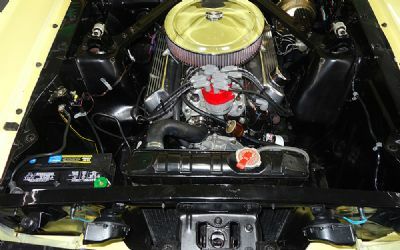 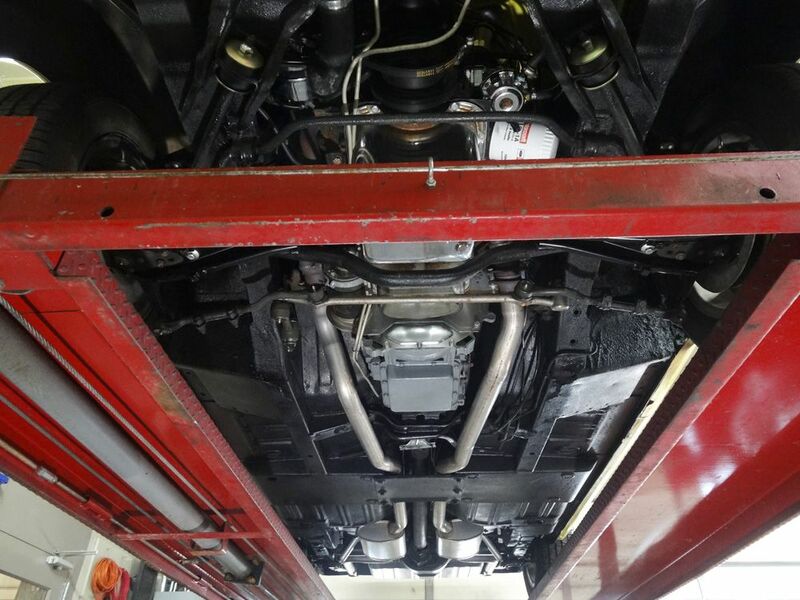 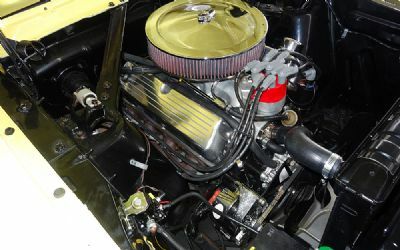 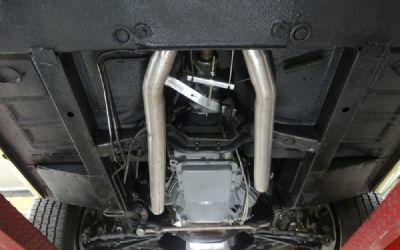 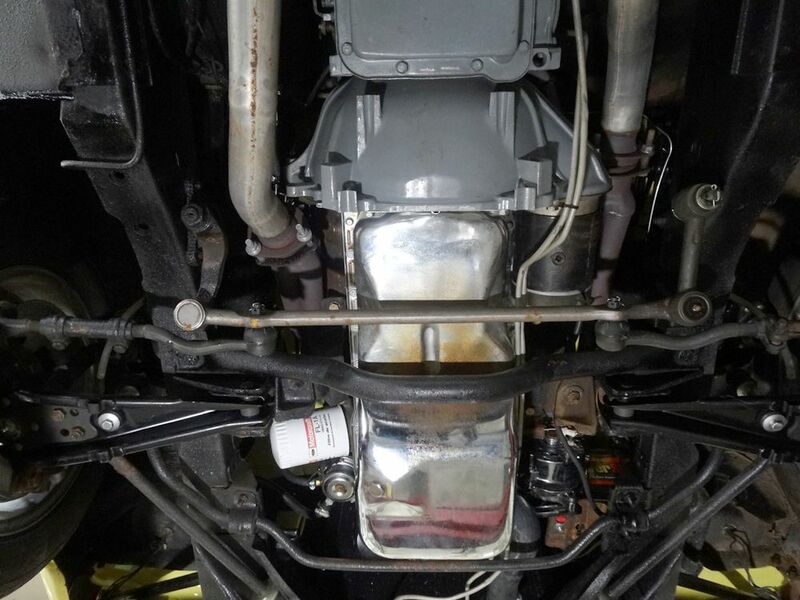 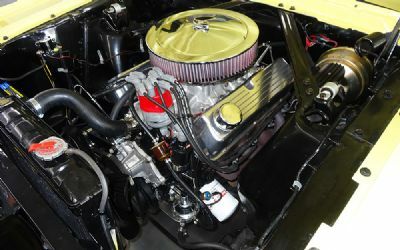 Engine enhancements include a performance intake and Holley 4bbl carb, electronic ignition, new water pump – radiator – hoses and transmission lines. 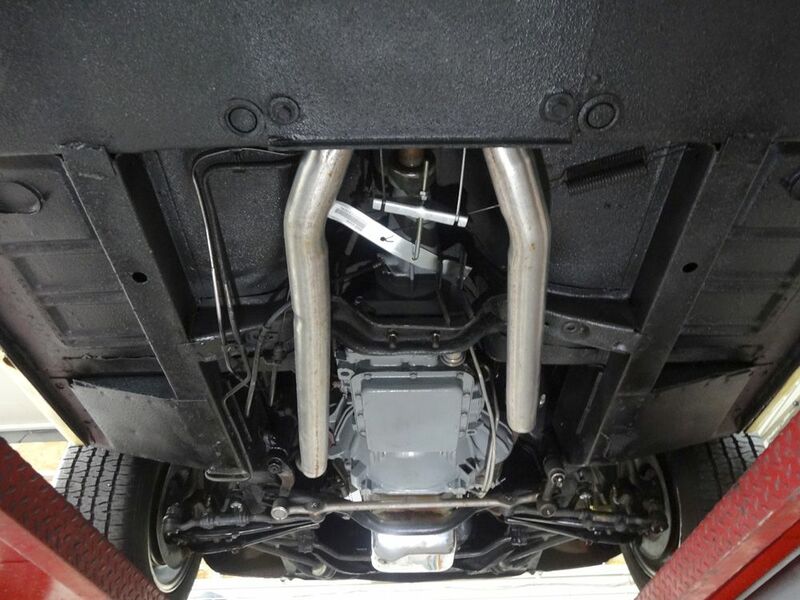 New dual exhaust and chrome air cleaner, fuel pump, and alternator. 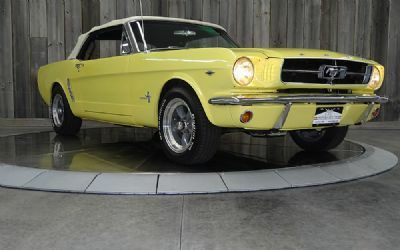 Originally equipped with manual front disc brakes, it has been converted to 4-wheel power disc braking. 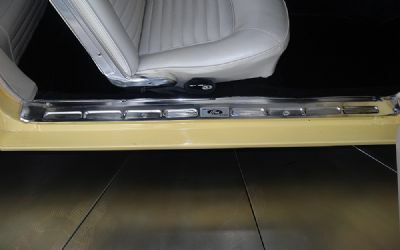 Working emergency brake. 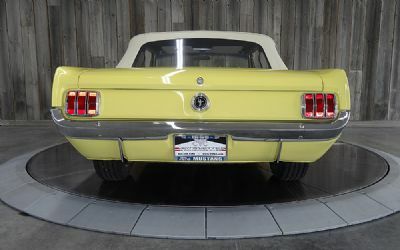 American racing wheels with BFG raised-white-lettering radial tires. 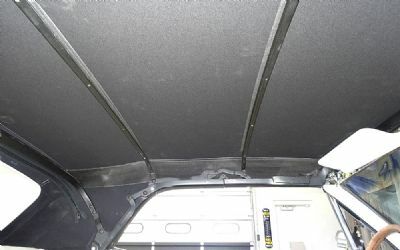 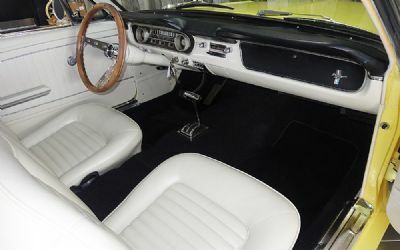 White parchment INTERIOR with new black carpeting has been fully restored. 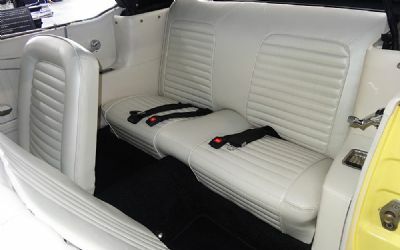 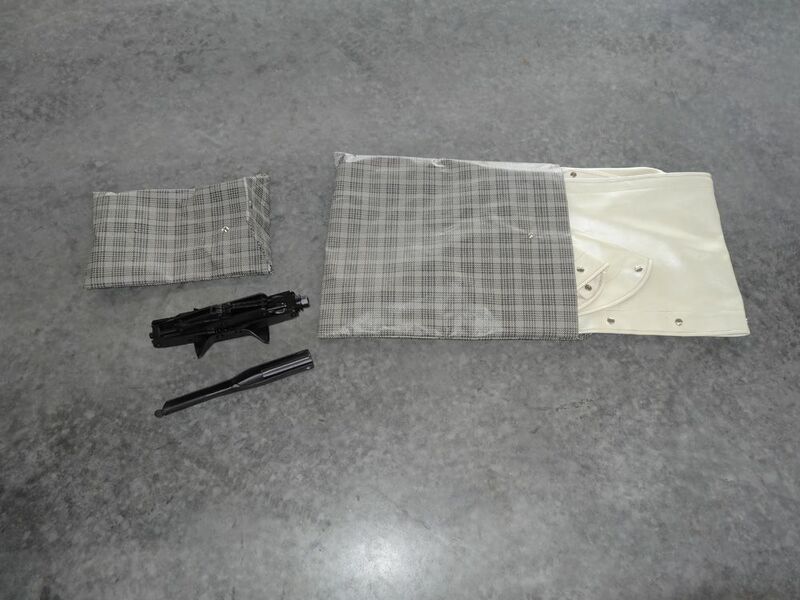 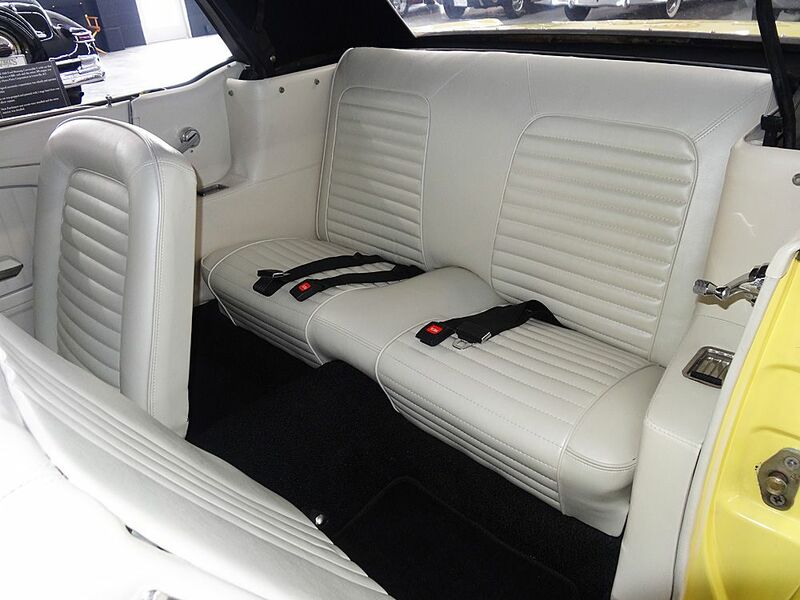 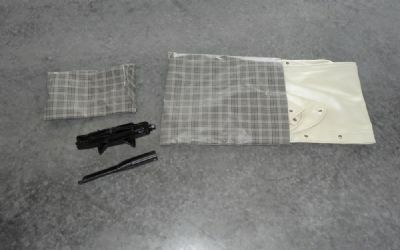 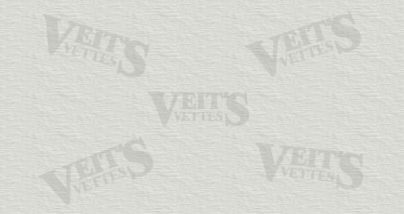 NEW white, Parchment seat coverings and new seat belts. 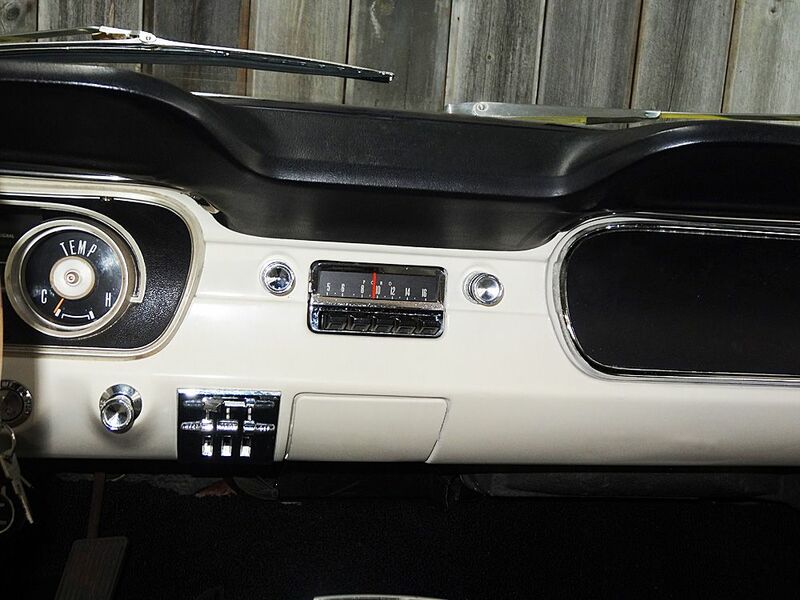 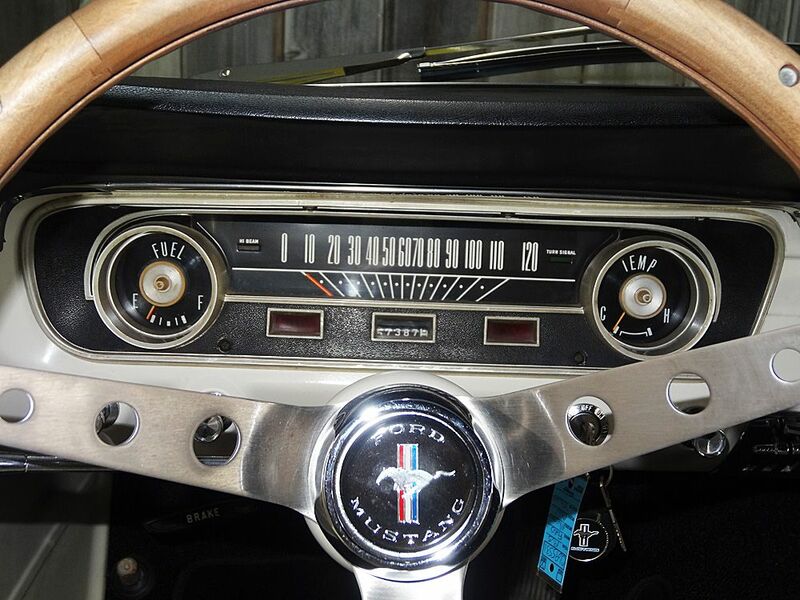 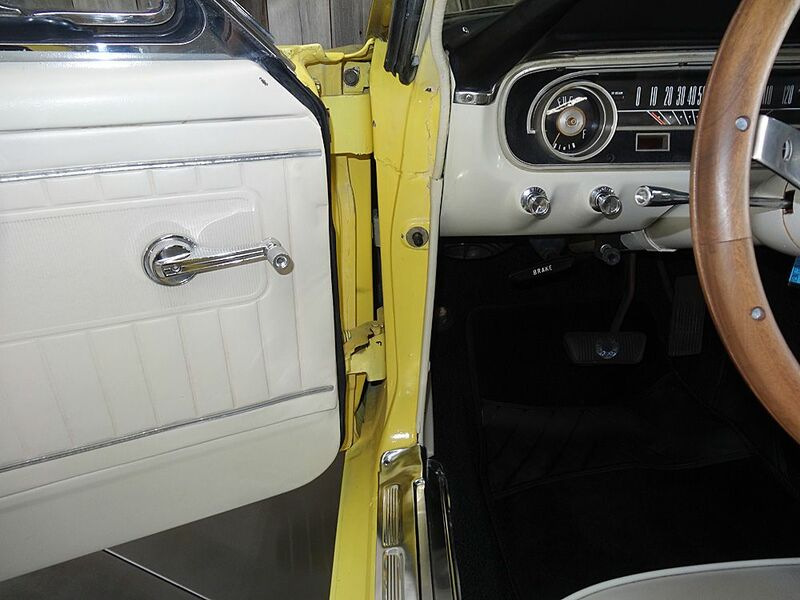 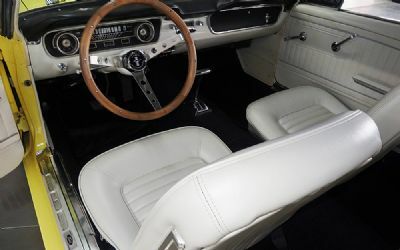 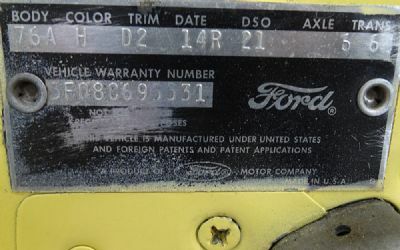 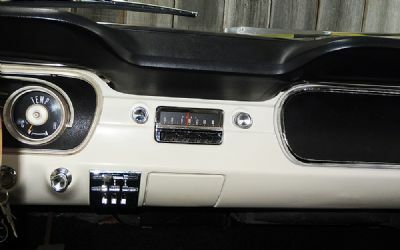 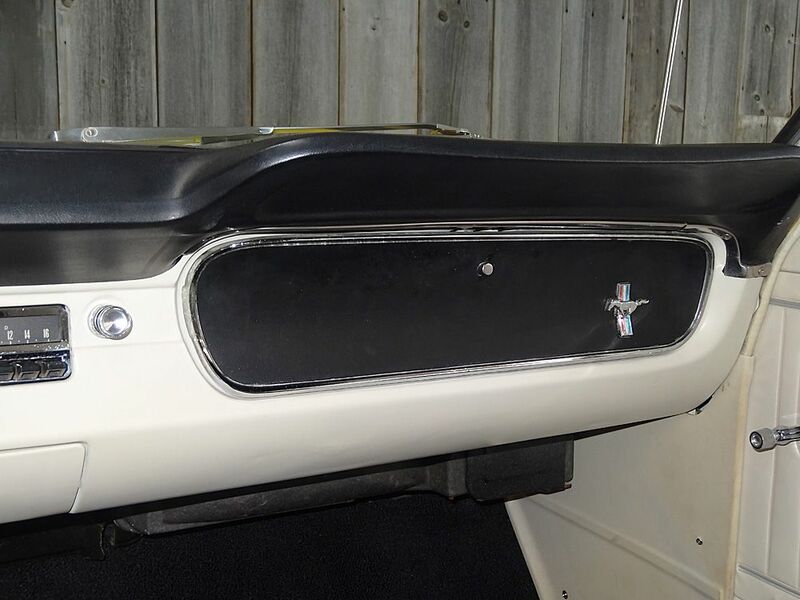 The original dash panel has been repainted and restored and sports a new dash pad and it’s equipped with the Ford AM radio. 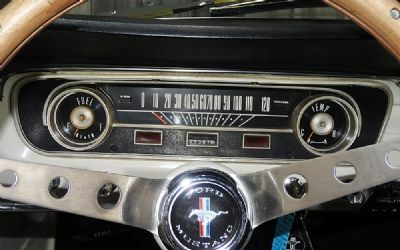 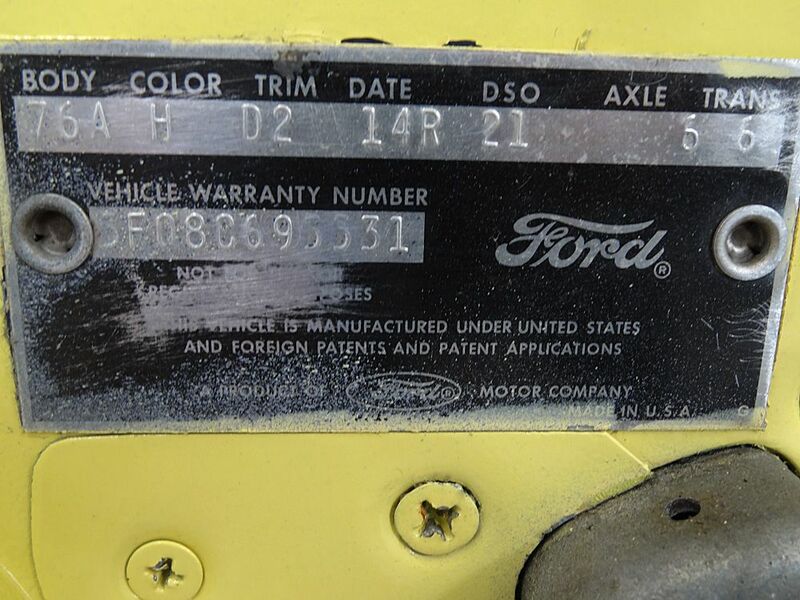 Odometer showing only 57,387 miles, approximately less than 5000 miles since restoration.